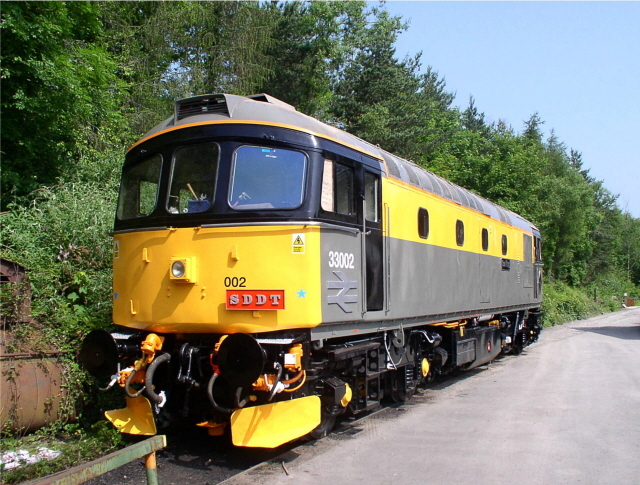 Diesel Gala Report and Diesel fleet news. 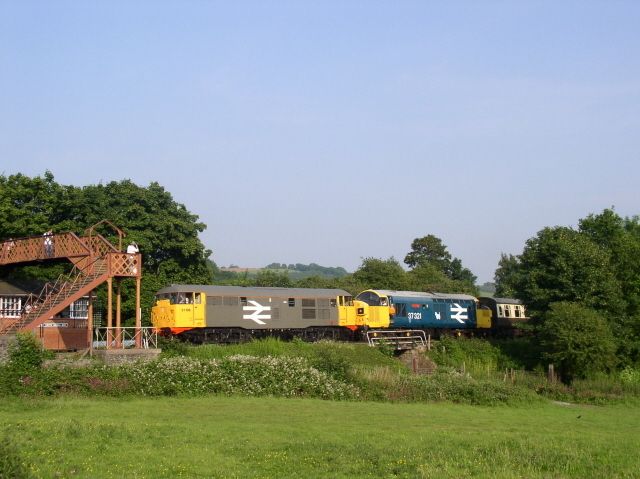 The annual Diesel Gala on the South Devon Railway took place on the 9th / 10th June Visiting attraction this year was the Class A1A group's Class 31 diesel 31 108 which arrived by road a few days before. An intensive timetable was operated using all the SDR's mainline fleet - 20 110, 20 118, 37 312, D7612 and the '31' on most of the services. The 04 D2246 was back in service as well after most of a year off with a leaky fluid coupling in the drive system which has been fixed, and having its springs overhauled and refitted. Apart from yard pilot the shunter also gave gala participants some rare haulage by working two trips to and from Totnes over the weekend. 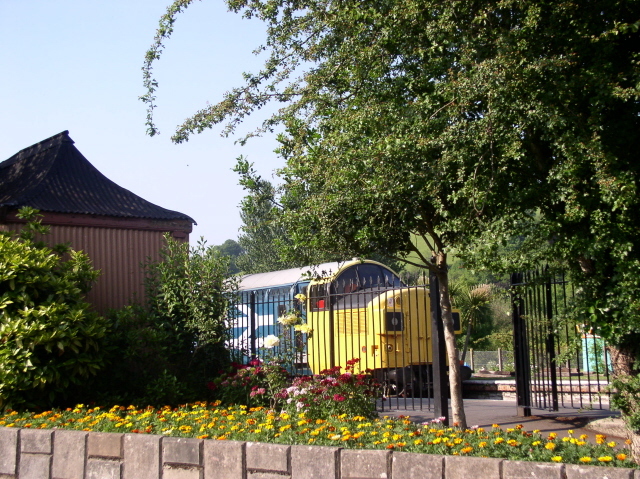 The Class 127 diesel railcar was also in action on both days. South Devon Diesel Traction group were delighted to be able to put their Class 33, 33 002 'Sea King' on display outside the shed for the first time. Considerable bodywork repairs have been carried out. Work continues on the engine overhaul. On Saturday evening the service continued until just after 10.00pm with the real ale bar proving popular plus chilli and rice being served from the kitchen car. Although the attendance was a little down on last year, reduced expenses meant that the gala was profitable. 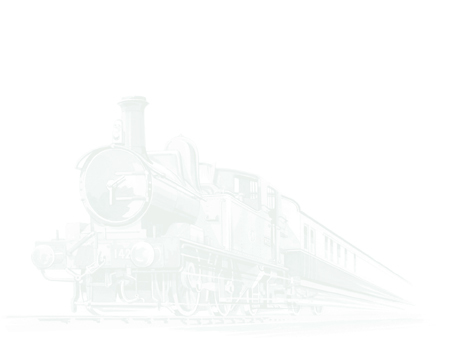 All trains ran to time over the weekend and no problems were had with any of the locomotives. Saturdays service was an all diesel affair, but on Sunday 5526 did two round trips with the auto coaches to please the steam fans. By coincidence 31 108 was originally D5526 when built. As it will be staying at Buckfastleigh for the next few months, and maybe in to next year, the SDR is hoping to stage a day when both 5526's run the service. The 31 will certainly be staying long enough to take part in the 'Gronk Aid' gala in November. Class 25 D7612 will be leaving the SDR shortly for the Summer on hire to the Spa Valley Railway. 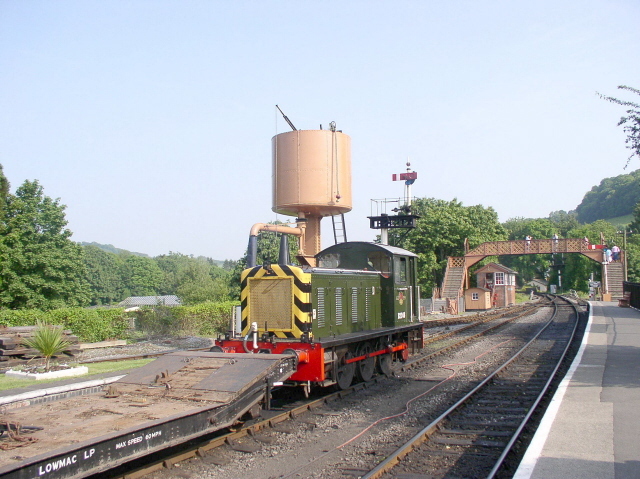 Further reports and pictures can be found on the Devon Diesel Society and South Devon Diesel Traction Websites. 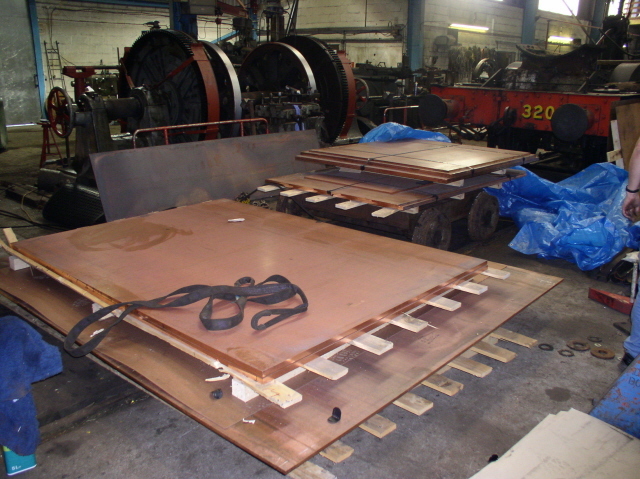 The South Devon Railway has just completed the supply of the latest batch of new copper plates for various locomotive's fireboxes. Locomotives to benefit will include, 75014 for the PDR, a Black 5 based at Mid Hants, 70000 Britannia, a certain A3 and an engine being restored by the Railway Preservation Society of Ireland. It is no longer possible to buy finished copper sheets from a single British Manufacturer as the production capacity no longer exists. Production does now unfortunately require input from various manufacturer's abroad to produce the end result. C107 Copper for Locomotive fireboxes as delivered. 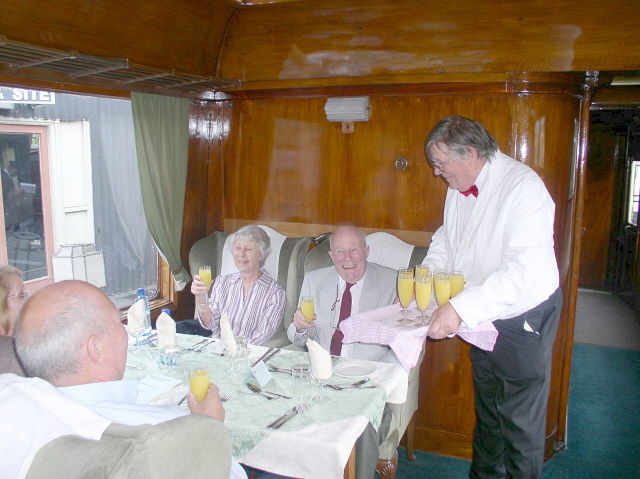 The South Devon Railway introduced a limited programme of dining trains last year on its 'Devonshire Pullman' train. Three superb carriages and top chef, Stuart Hodsell, make the recipe for a first rate evening out. The vehicles in use are the lines two former Great Western Super Saloon carriages 'King George' and 'Duchess of York' together with Special Saloon 9005. The May and June evenings were sold out well in advance as is the July date. There are still spaces available on the evenings of September 21st and October 19th. 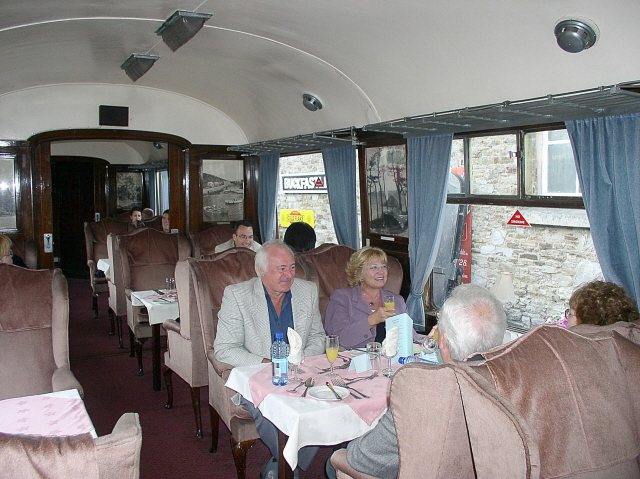 Each train features a different menu - details are on the web site under Dining Trains. But with a busy schedule of evening charter trains and gala events the number of 'Devonshire Pullman' dates will always be limited.